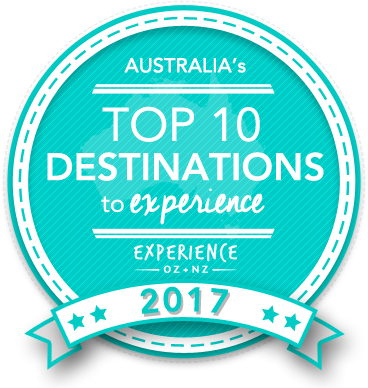 Vote forHamilton Island, QLDTop Island Destinations Which are Australia's must-visit destinations? You help us decide. As one of the most easily recognised names in the Whitsundays, Hamilton Island boasts the largest amount of development than any other island in the region. It also offers one of the best all-round balances of things to see and do to entertain visitors. It's a large island aimed to cater to all tastes and while there is plenty of luxury on offer here, there are also some reasonable alternatives for the more budget-conscious travellers. Why it's special: Popular island in the Whitsundays, ideal for families & couples alike with water sports, resorts, golf, wildlife and more. If you're the type of traveller looking for a modern, sleek, resort-style operation for your trip that offers plenty of chances for pampering, dining and activities – and you don't mind sharing all these benefits with plenty of other people – then Hamilton Island within the Whitsundays ticks all the boxes, and then some. Ideally located on the edge of the Great Barrier Reef, the picturesque Hamilton Island the most popular and heavily visited of the (officially) 74 Whitsunday islands, offering a getaway experience like few other given its large amount of development that includes numerous accommodation and recreational facilities from which to choose. The beautiful island offers idyllic coral fringed beaches, azure waters, warm weather, colourful coral reefs, picturesque natural surroundings and a wide variety of flora and fauna, which make it a holiday seeker's paradise. Hamilton Island offers a diverse range of activities to enjoy which will add fun and adventure to your holiday, including swimming, sailing catamarans, jet skiing, paddle boarding, sea kayaking and snorkelling on the Catseye Beach. Add in the fact that you can get around the island on golf buggies, and this is an ideal destination for both families and couples looking to escape to a popular paradise. Whether you are looking for a romantic getaway or an ideal family holiday location, Hamilton Island is the perfect gateway for tours out to the stunning Great Barrier Reef, which is home to the world's rarest animal and plant life, hard and soft coral reefs, with hundreds of species of turtles, dolphins, fish and whales. If you're looking to plant yourself on the island, you won't struggle to find things to do. You can relax, cool down and unwind at the Bougainvillea Pool, hire watersport equipment off Catseye Beach or go bush walking to explore all the island has to offer. For those looking to stay overnight, Hamilton Island offers six styles of accommodation, which are all designed to match various holiday requirements and budgets. You can choose from a range of accommodation facilities including boutique beach club, exclusive beachfront hotel, self-contained apartments, holiday homes, villas, bungalows and more. Looking to pay a visit to Hamilton Island but not sure what to do? Here are some of the most essential experiences. What's new on Hamilton Island in 2017/2018? Need more info on Hamilton Island? Check out our detailed travel features on this top spot below. Planning a visit or stay on Hamilton Island for the first time and not sure how best to spend your time? Our team take a look at some of the must-do experiences that Hamilton and surrounds have to offer here. Experience Oz staff writer Brittney heads to Hamilton Island on a tour with one of our top-notch tour operators to put a day out on "Hammo" and surrounds to the test; check out her tried-and-tested review here. Is Hamilton Island Australia's Top Island Destination to Experience for 2017? Vote now for the chance to WIN an epic trip to one of Australia's top destinations!